Still have no plans for Valentine’s? With these nearby resorts, your dream romantic vacation is just a few hours and a click away! Hear ye hear ye, Valentine’s Day is just around the corner! Maybe you have been so busy that you have forgotten all about it, or maybe you can’t take time off work to travel the world for a romantic holiday. That’s okay, sometimes life gets in the way of love. Still, it would be nice to travel out of the country for a short getaway with your loved one for some rest and relaxation. With these romantic holiday destinations less than three hours from Singapore, it’s that much easier to make that getaway a reality! Even if it is just for a little while. 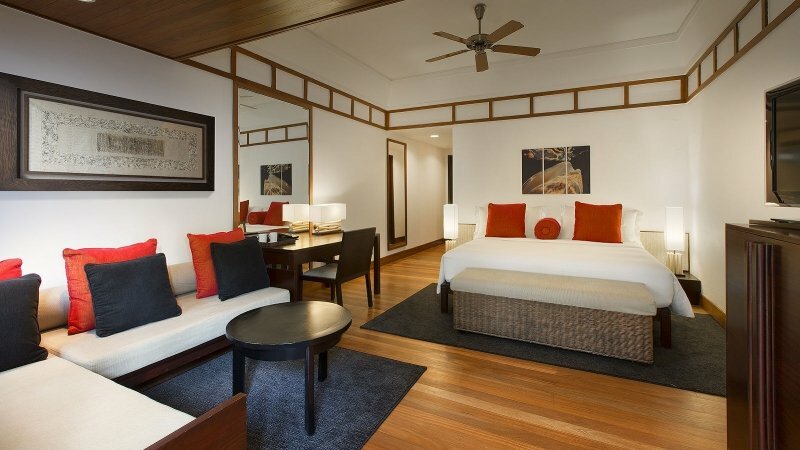 Bintan has always been a hot favourite for a quick weekend getaway and things are no different this Valentine’s day. 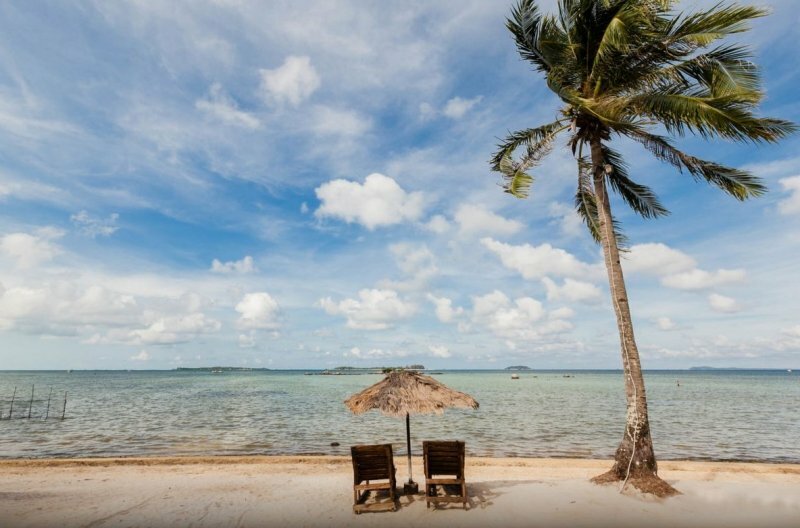 At the Bintan Spa Resort, you and your partner can lounge peacefully together on the beachfront, and soak up some Vitamin D while you’re at it. The Valentines Bintan Package offers all you lovey-dovey couples with an opportunity to cuddle up in the Deluxe, or Garden Deluxe Suites. The rooms will be decorated to create a romantic ambience and ladies will even be gifted a beautiful rose. You will get the luxury of a 60-minute Couples Spa and Massage to truly unwind, and enjoy a three course Seafront Valentines Dinner to wrap up the day. 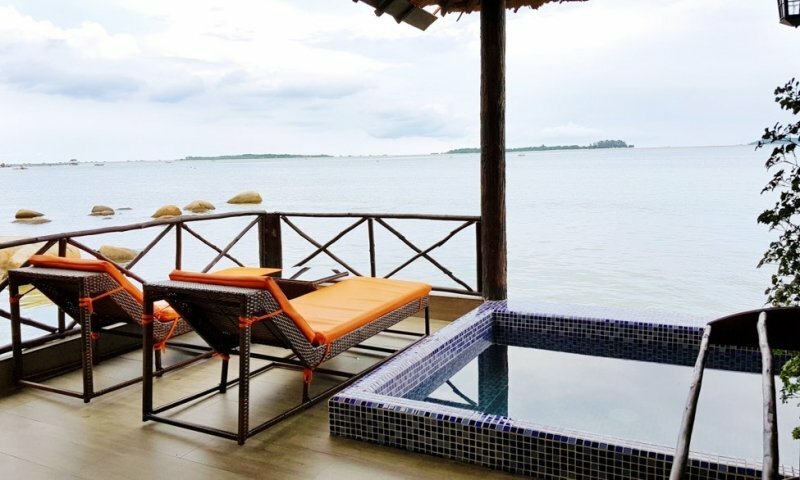 For the more indulgent, the Honeymoon Package and Romantic Bintan Package both include stays in the more lavish Royal Pool Villa and Jacuzzi Ocean Suite respectively. 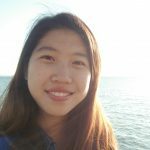 Look at those gorgeous sea views! 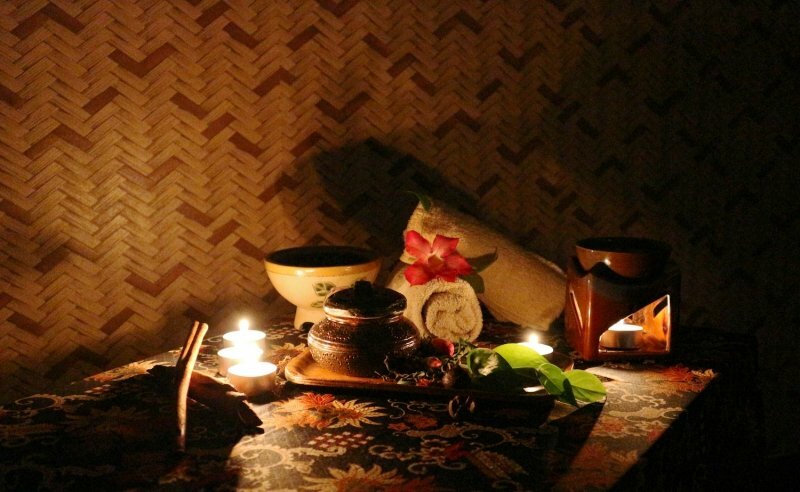 You also get to relax with soothing spa treatments, and enjoy romantic candle light dinners. Most excitingly, you get to release 5 shots of fireworks and a wishing lantern from the comforts of your room – what could be more romantic than watching the sky light up with your loved one? For the more adventurous couples, take full advantage of the complimentary 30 minute kayaking session, and make new experiences together. Since Langkawi is just one and a half hours away from Singapore, you might not have thought that you could get away from the hustle and busy of city life. 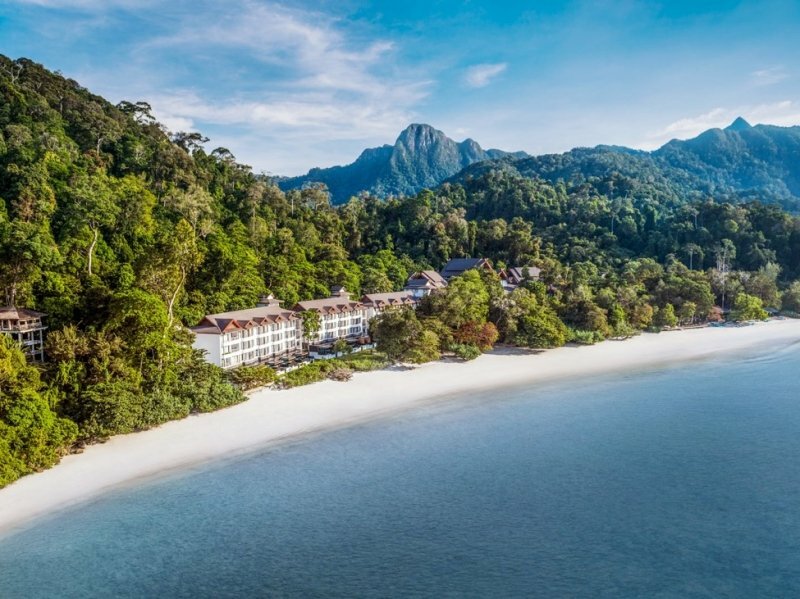 Still, the dreamy Andaman Resort sits on Datai bay like a secret castle; perfect for you and your loved one to have a private holiday away from the rest of the world! You get the best of both worlds with both sea and mountain views, although the best view is probably of each other. To enjoy a serene and worry free holiday together, check out the Sweet Suite Experience that offers stays at either the Executive Suites or Executive Pool Suites. This package has everything planned out for you. The day starts with a buffet breakfast, before you get to explore your surroundings with complimentary rainforest nature walks. Credits worth MYR 200 (~S$67) will be also be provided daily to settle food and beverages. If you are keen on pampering yourself more, the Romantic Escapes package is just what you need. When you first arrive, you will be ushered to your Deluxe Rainforest Suite and gifted a bottle of sparkling wine. Spa treatments will be offered at a discounted rate, and you can enjoy a relaxing session together with your partner. At the end of the day, a private and romantic dinner will be set-up for you to savour some delectable delights! Batam is just a short 50-minute ferry ride from Singapore, which makes the Allium Hotel Batam a prime location for a quick Valentine’s getaway! They say the way to someone’s heart is through their stomach, so you should definitely head on their Paris-Lyon Cafe to keep both your heart and stomach happy. As a Muslim-friendly hotel, halal food is served at the cafe. The Hotel is also strategically located within a bustling shopping district, so you can literally shop until you drop! Since you’ll be doing so much shopping and eating, you might also want to treat yourself to a well-deserved spa before heading back home. 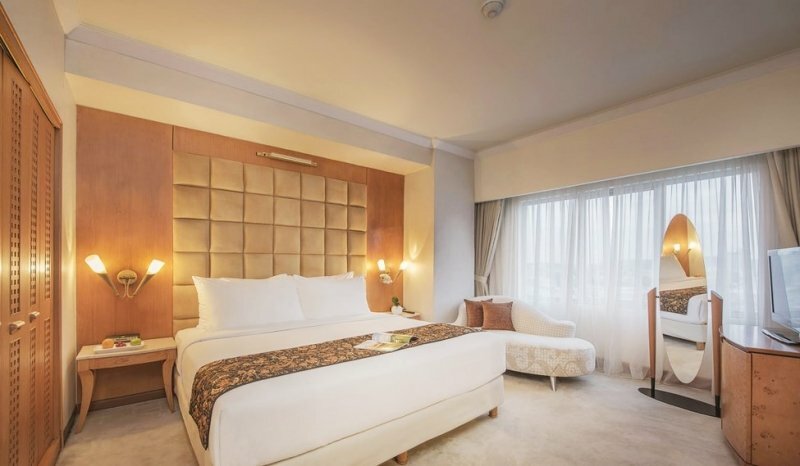 Starting from as low as 748,000 IDR (~75 SGD) nett per night, you will be able to enjoy a stay at Allium Hotel Batam's Deluxe Room, buffet breakfast, free pick up service from Harbour Bay Ferry Terminal and most importantly, a 60-minute Indonesian traditional body massage with the Allium Relaxing Spa package. If a 60-minute massage is not enough to melt away your fatigue, opt for the Samali Relaxing Spa package from 848,000 IDR (~84 SGD) nett which includes a 120-minute Indonesian traditional body massage and treatment instead! 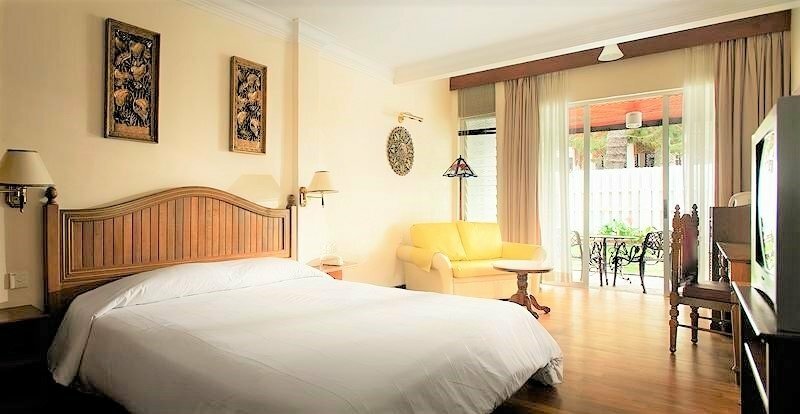 Otherwise, you can also skip the spa and opt for the Hassle-Free Getaway package, which includes a two-way ferry trip from Singapore, from 1,080,000 IDR (~100 SGD) nett per night. Have you gotten bored of staying in hotels and resorts? 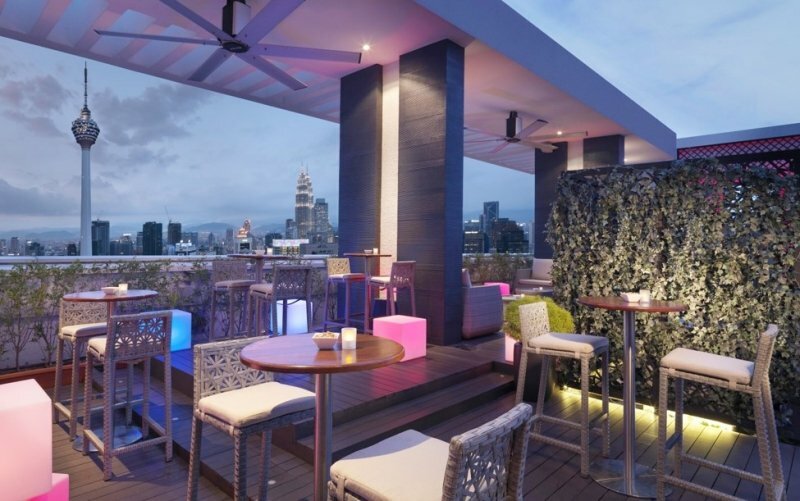 With Lanson Place Bukit Ceylon Serviced Residences in Kuala Lumpur, you can experience what it’s like to live in a more homely, but luxurious place with your partner. Perhaps the decor will even inspire some future #homegoals! The suites are fully furnished – from having multiple televisions, a full kitchen, washing machine, to even a weighing scale, you will feel right at home. In addition, there are facilities such as a fully equipped gym and swimming pool, so you can work out and keep fit together. Ultimately, you don’t even need to go out of the building to have a good time. Just cosy up with your valentine at ‘home’. Find out more about their promotions and enjoy discounts of up to 30%! 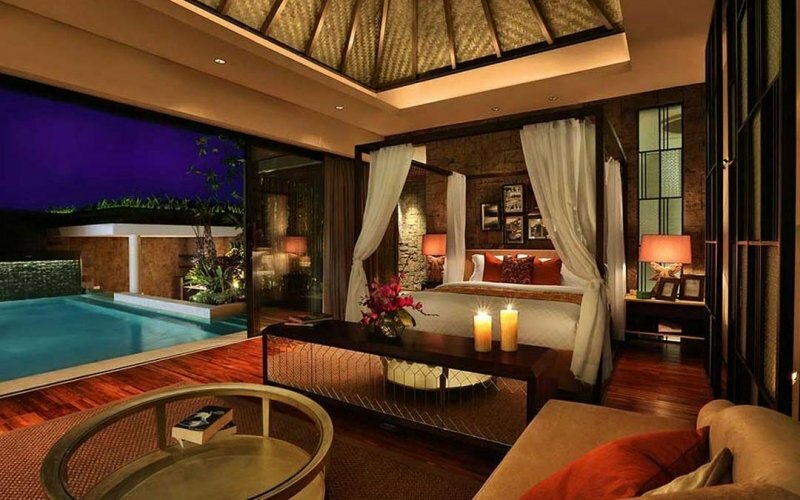 When talking about romantic getaways, surely we can’t miss out on Bali! At Berry Amour Villas, they have specialty ‘Romantic Villas’ that specially cater for those who are so crazy in love with each other. 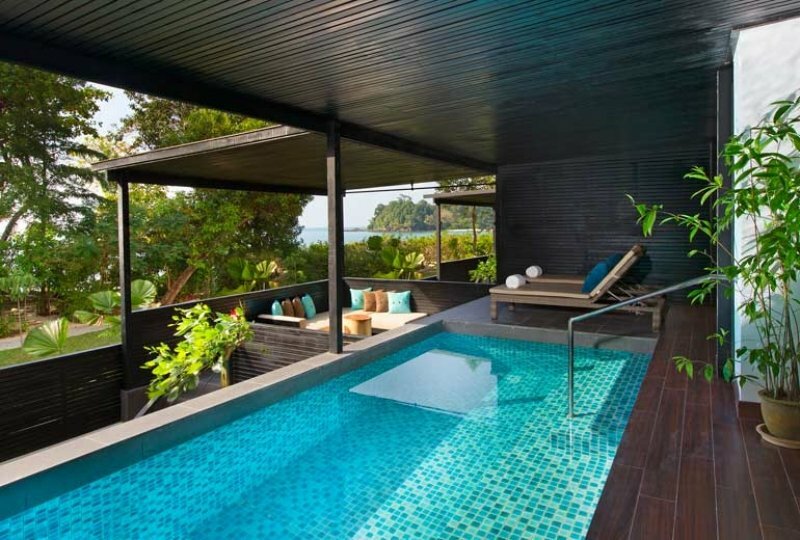 Each private villa has its own jacuzzi pool, sunken dining area and an en suite kitchen. With your partner to accompany and delight in this experience with you, it’s practically paradise on Earth. 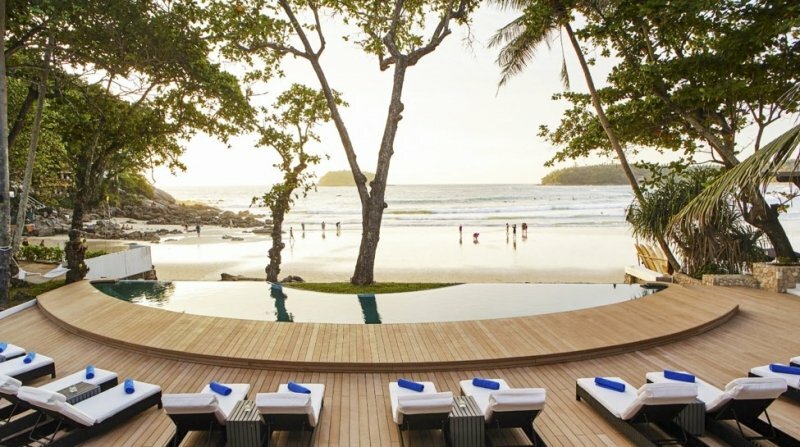 The beaches of Thailand are peppered with many different beach resorts, but The Boathouse in Phuket is one quite unlike another. Where the atmosphere remains relaxed, the place is decidedly classier and more elegant than other resorts. Perfect for treating your loved one to a more premium holiday without giving up on the comforts of the beach! One moment, you may be riding those waves on your surfboard and the next, you are relishing in a luxurious spa treatment. However you choose to spend your day, be sure to end it with a fine-dining experience at the restaurant. Top it off with a glass of wine – Boathouse has won the Wine Spectator Best Award of Excellence for 12 years and running. After all, your very fine partner only deserves the very finest things life. Experience a different side of Malaysia with your valentine at the Century Pines Resort, in Cameron Highlands. The flight there takes approximately an hour, which really isn’t much time at all. 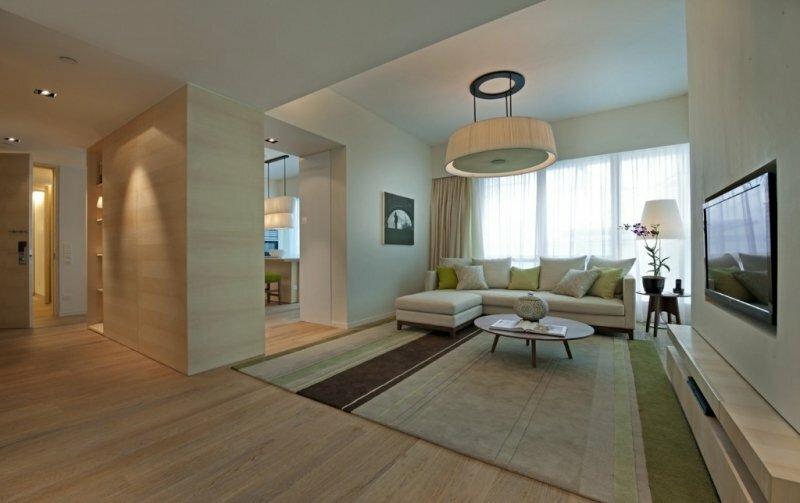 Each room is fitted with hardwood flooring and minimalistic decorations, which accentuates the rustic vibes of the place. 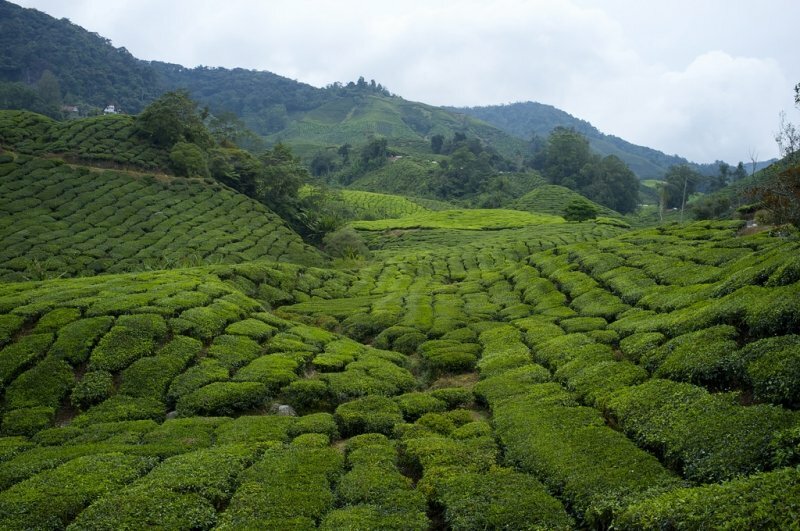 The resort is situated within a few kilometres of a rose farm, night market and even a tea plantation! Definitely not the usual kinds of tourist attractions that one looks for, which is precisely what makes them extra memorable. This Valentine’s, make some novel memories with your partner that you can keep with you for a lifetime. Take advantage of these destinations and plan a simple, yet romantic Valentine’s Day getaway for your loved one. No matter how busy life gets, always make effort to spend time with your partner and celebrate your relationship together!